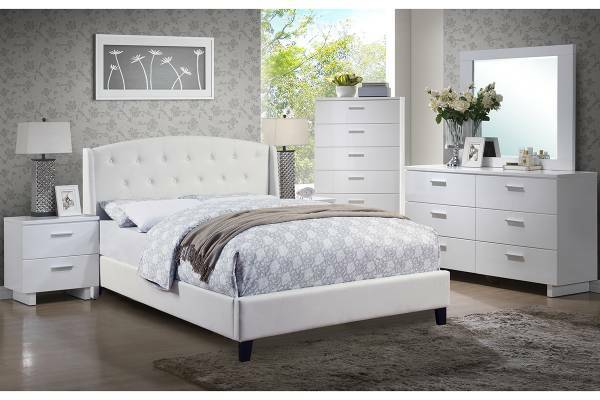 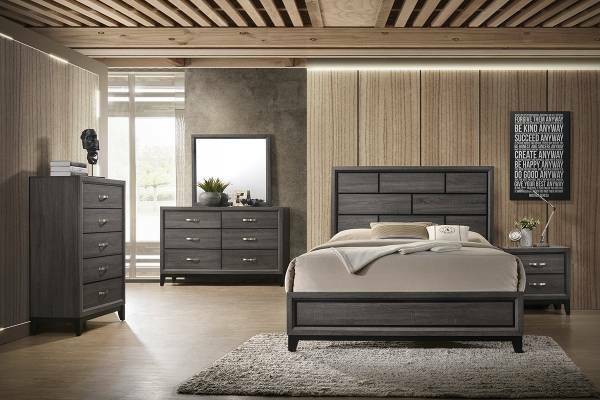 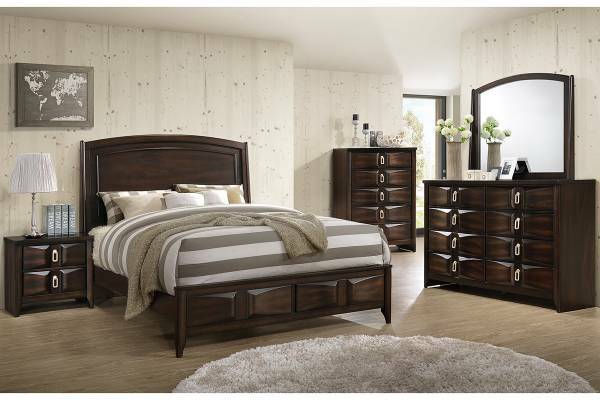 This Silver Wood Finish Queen size five piece bedroom set is designed to instantly transform your bedroom into an elegant space of leisure and comfort. 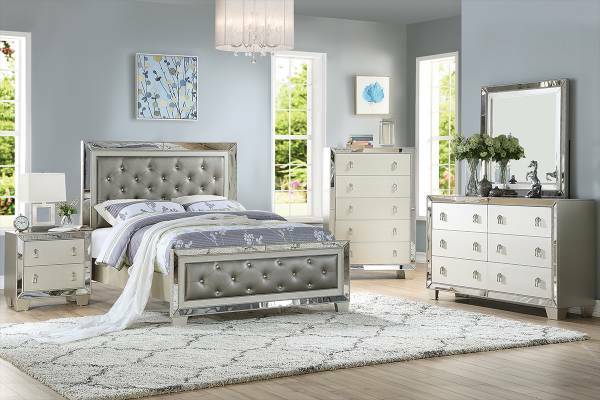 The set includes Queen/Full size bed frame, nightstand, chest, dresser and mirror. 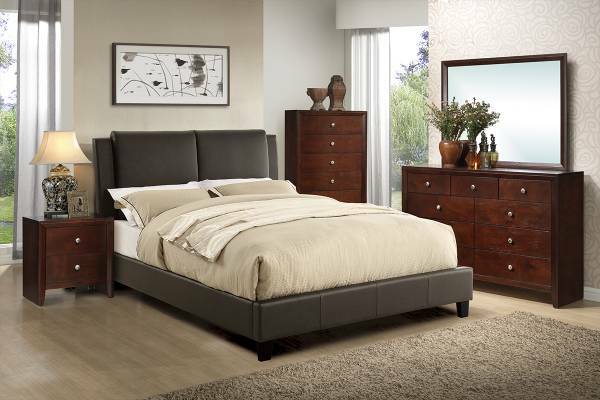 It provides ample storage space, that will help you keep your room organized. 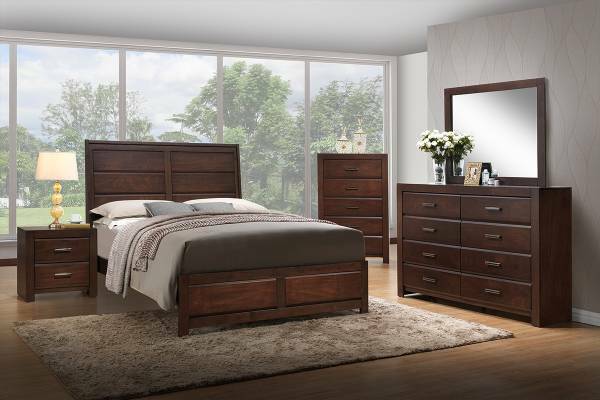 The dresser and mirror combination also function as a vanity, so you can comfortably get ready in your own room.